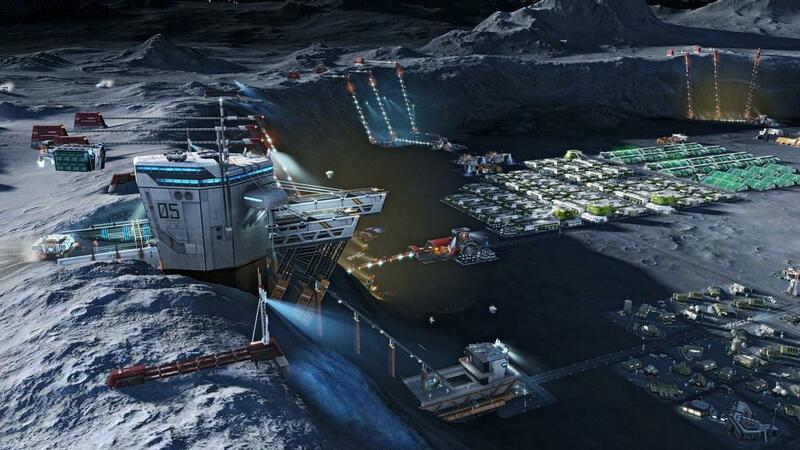 Anno 2205, from developer Ubisoft Blue Byte Mainz, marks the series' sixth installment. Anno combines gameplay elements of city building, economy management, and real-time strategy. Following the previous installment, Anno 2070, this latest iteration ventures even further into the future by traveling to harsher environments, including the Arctic and the Moon. 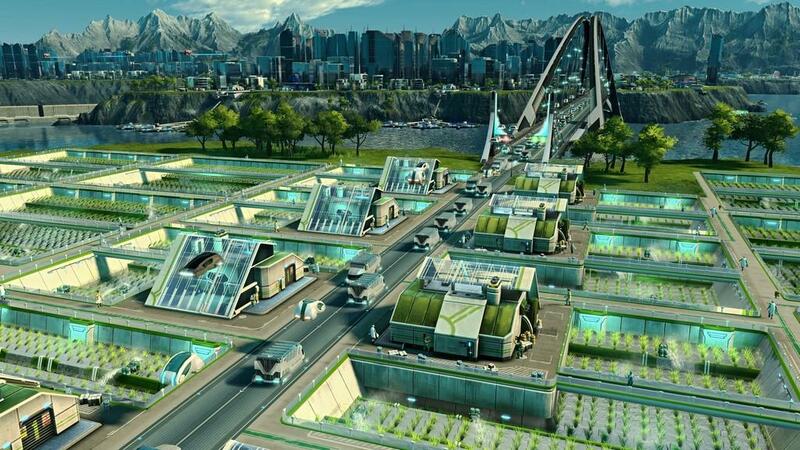 As with past titles, players begin by creating a corporation and then establishing dominance through well-designed cities that are all connected with a finely tuned economic system. Real-time strategy elements come into play when players encounter enemies, which involve sea battles with fleets of ships. The most noticeable difference with Anno 2205 versus past games is how much more accessible the gameplay experience is. It's easier to pick up and simply enjoy instead of worrying about overly complicated strategy elements. The game's structure isn't set up like most other strategy games—where there are campaign missions followed by a sandbox mode. 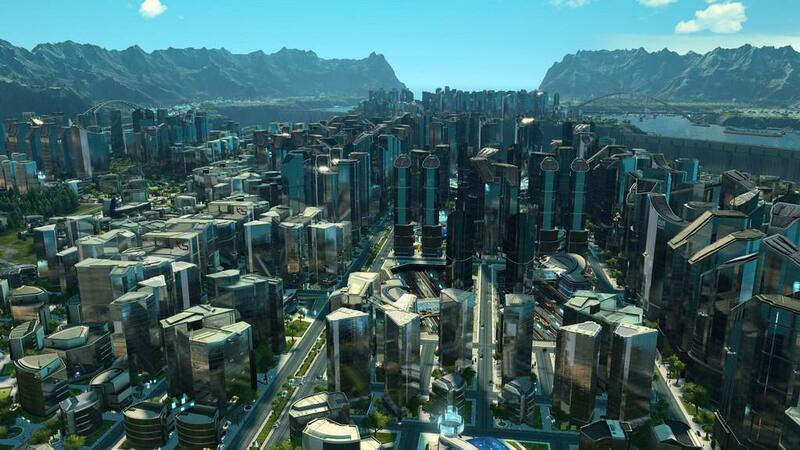 Instead, Anno 2205 has one game mode that encompasses both narrative and sandbox elements. After creating a corporation by picking its name and logo, players are given three map locations to pick from for their tundra environment. 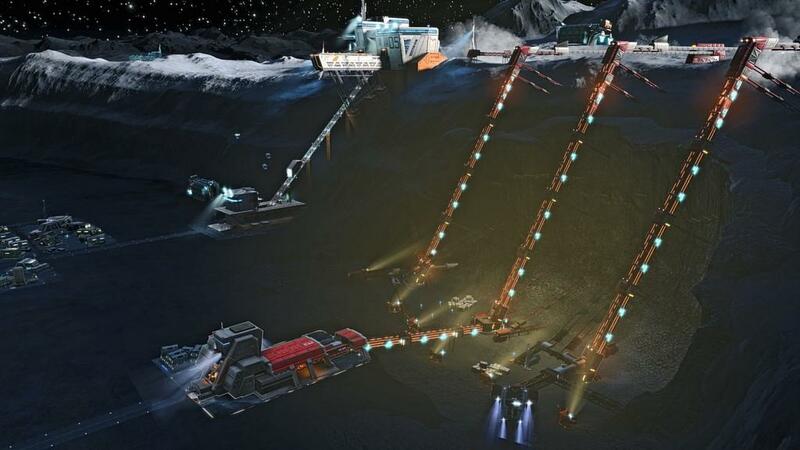 While initially beginning with only one environment, eventually, after gaining access to the spaceport, they can establish Arctic and Moon environments that are accessible via a hub map. Later, players must routinely switch between each of the environments to maintain a steady flow of resources flowing to and from each of their cities. The narrative takes a backseat, as the core gameplay of building successful cities and colonies is far more interesting than the actual story. Speaking of which, players will probably forget about the main bad guy, who is as generic as they come. All the bad guys wants to do is prevent people from colonizing the Moon. It's best just to take the story elements lightly and, instead, focus your attention on establishing and maintaining a successful economy. Even more so, players won't have much downtime, as there is a constant flow of side quests that range from towing cargo across the map to maintaining economic conditions for a set amount of time. Each of the three environments also fluctuate in their resource needs, which require players to be vigilant about trade routes, and to produce enough of the desired resource by their citizens. Progression of one's economy relies on the advancement of their citizens. 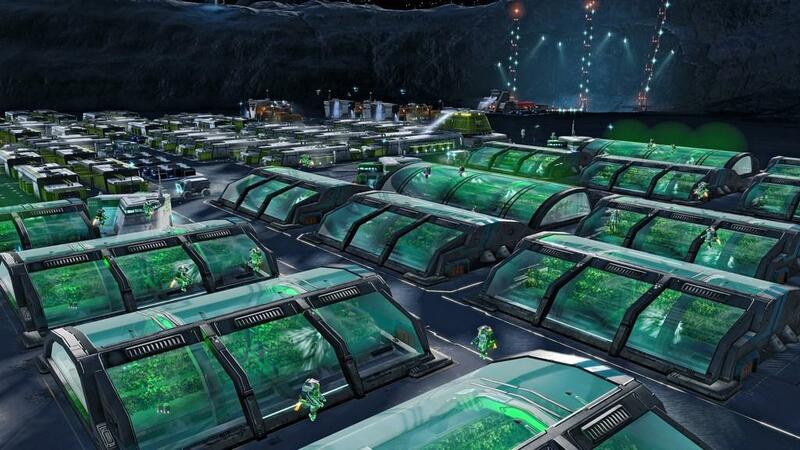 As additional opportunities are provided to citizens, as in more advanced factories and luxury foods, for example, soon the residents will become scientists and, in general, a more advanced and civilized population. There's always a gamble present, in that building more houses for citizens will lead to more income from taxes and such, but it will also increase the need for food and other resources, such as clothing and medicine. In turn, more buildings require additional power and raw resources to produce their goods. At times, it's truly exciting to see your city grow and advance, but also daunting to manage ever-changing needs, and to keep it all running. 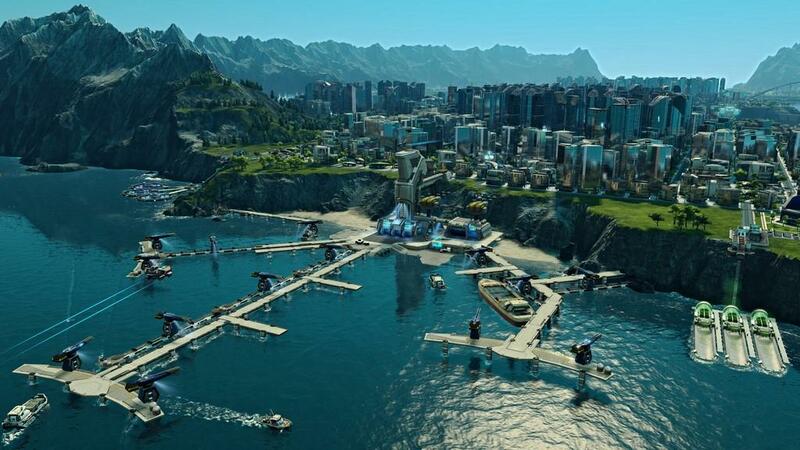 Easily the best addition to the series, with Anno 2205 comes the ability to switch between three environments and, of course, the visual style of the environments. While players of past games will be accustomed to the tundra environment, the Arctic and Moon locations are far more thrilling due to the harsh conditions. 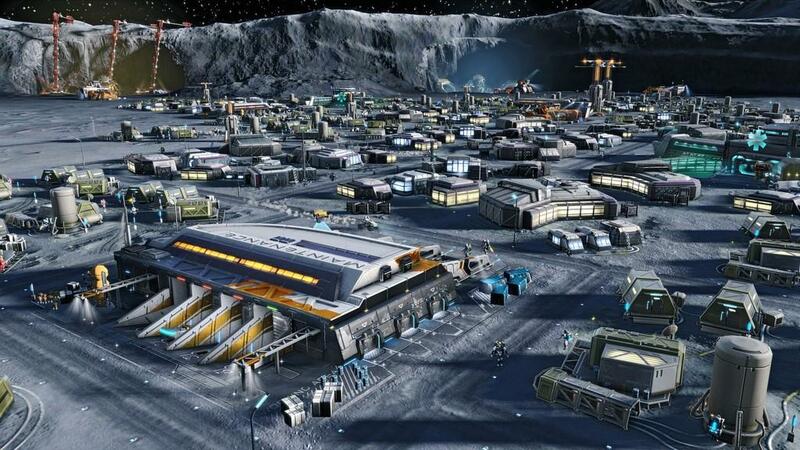 In the Arctic, players can only place buildings around heat sources, such as factories, while the Moon requires buildings to be constructed within shields to protect them from meteoroid impacts. These survival conditions make for a far more interesting gameplay environment, in that players must be more conscious of where they place structures and how they plan the future of their settlements. It also makes the trade routes between cities feel far more valuable and necessary for each of them to succeed in the long run. 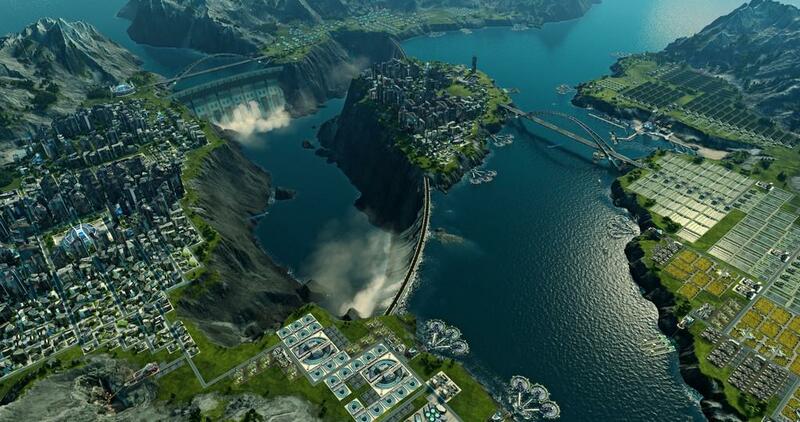 Another Anno tradition that Anno 2205 nails is that its visuals are a joy to behold. The day and night cycle make for some truly wonderful vistas, as cities undergo beautiful transformations and lights begin to turn on at night. The Arctic environment, in particular, is one the best representations in a strategy game of that particular tundra, as snow drifts will blow across your cities, and residents will travel around on their snowmobiles. Even better, the engine is well-optimized and runs nicely, even at 4K resolution. It was also a pleasant surprise in just how quickly the game is able to load each of your cities when switching between the various environments. The least interesting aspect of the game has to be the sea battles. They proved more of a distraction than a worthwhile addition. While their gameplay mechanics were certainly polished and easy to understand they weren't that entertaining in comparison with the city-building aspects. Fortunately, they weren't presented too often and could each be easily finished in 10 to 15 minutes. Aside from the sea battles, Anno 2205 is, without a doubt, the best entry in the series yet. The combination of finely tuned city-building and economy-management gameplay make for an addictive experience that is impossible to put down.